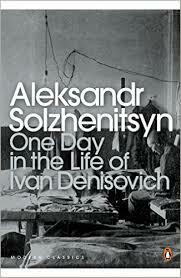 Ivan Denisovich is a political prisoner in a Russian work camp. This book follows Ivan's struggles and the challenge to maintain his dignity within the camp, whilst giving a real look into Stalin's communist work camps. I really struggled with this book. It is not my typical book that I would read. It was the chosen book for my bookclub this fortnight. I must admit I couldn't finish the book, I really struggled to get into the plot and it just didn't grab me and catch my interest. I gave this book 1* on good reads.